Pollen has nothing on you. 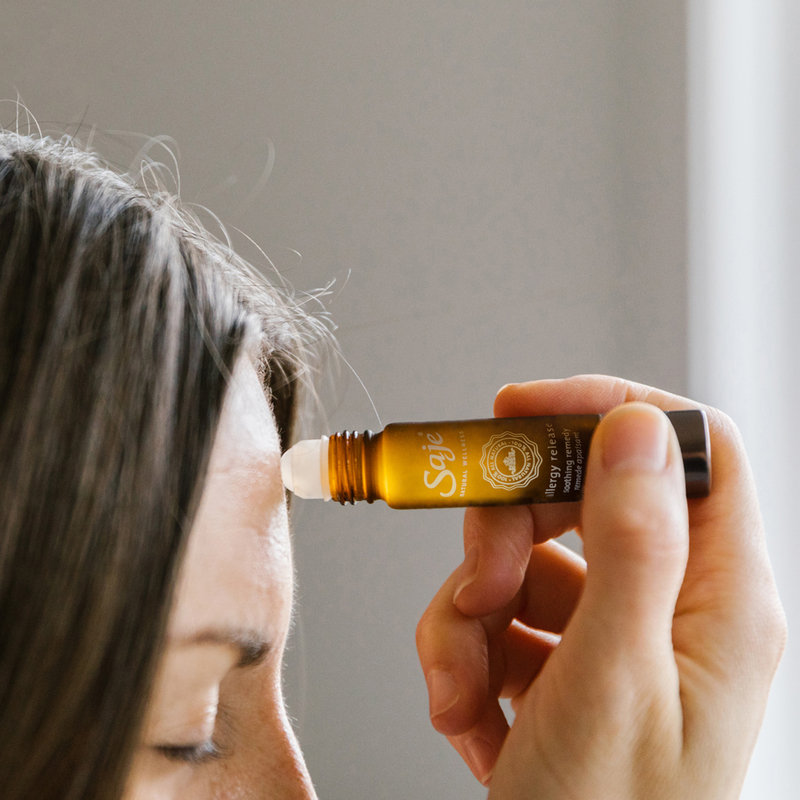 This fortifying blend will help you in your wellness walk by relieving allergy symptoms, including respiratory troubles from allergic rhinitis and minor skin irritations. SKU: 4304 NPN: 80038275 ? Roll onto forehead and sinus areas. Keep out of reach of children. If swallowed, seek urgent medical attention or contact a poison control centre. This product is for external use only. Do not take orally. Do not use essential oils undiluted. If you have epilepsy, consult a health care practitioner prior to use. Avoid contact with eyes and mucous membranes; if this happens, rinse with vegetable oil. Do not use if you are pregnant or breastfeeding. May cause allergic reaction (e.g. skin rashes, irritation, and dermatitis); in which case, discontinue use and consult a health care practitioner. This essential oil is phototoxic, do not expose the applied areas to the sun within 3-4 days after application. Consult a health care practitioner for prolonged use or if symptoms persist or worsen. Add 30-40 drops to 10 ml of carrier oil for local application. Start with the lower dosage and increase if well tolerated and if symptoms persist. A zesty, uplifting citrus; refreshes the mind and relieves cold and flu-like symptoms. Can also be used to relieve insect bites. This zingy herb uplifts the body and mind and is used as a decongestant and expectorant. Keep on hand when you know you’re going to be around a furry friend or strolling through a field of flowers.